While so many people enjoy a low carb diet, there are certain quintessential New York foodie items that we have mastered. Pizza and bagels immediately come to mind. It doesn’t matter where you travel, they’re never quite the same when you go elsewhere. So back to this schmear business. Up until now, you had some options at Trader Joe’s if you want something on your bagel (or other food item), you had whipped, regular, vegan, and the seasonal pumpkin cream cheese. 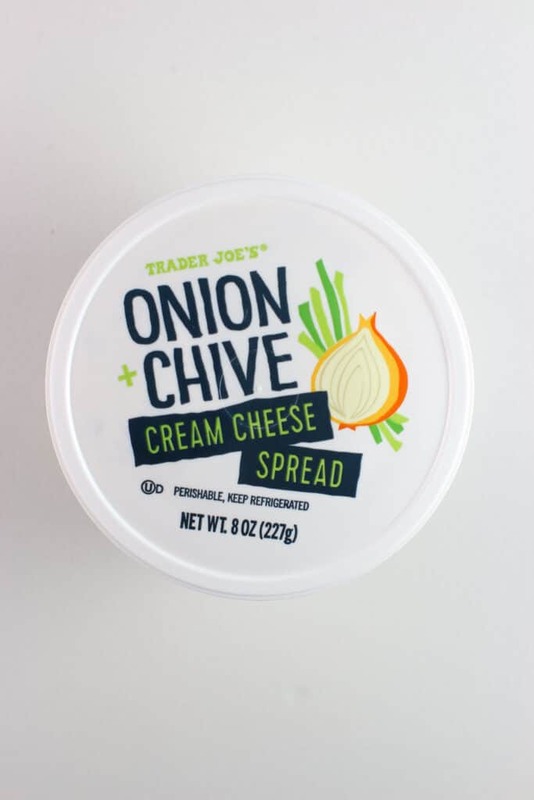 But now, you are getting a tub of cream cheese that is heavily infused with the flavors of onion and chive. Onion and chive might not jive with everyone, but is a common bagel store item. It naturally pairs with the other item that you’ll find on a New York bagel: lox. 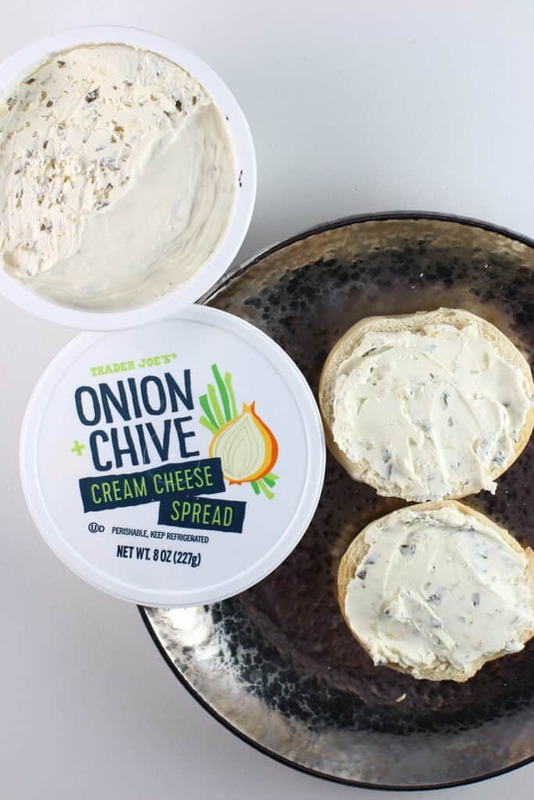 Unlike what you get at a bagel store, this relies on dried herbs which are mildly rehydrated by placing them into this cream cheese spread. They don’t have much texture, but they were heavy-handed in adding them here. 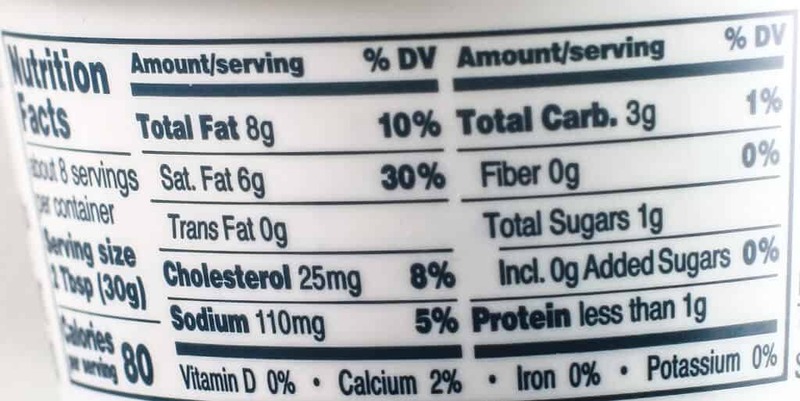 Right off the bat, I was a bit concerned with how my tub handled itself in the refrigerator. Mine developed an air pocket which made we wonder if the contents inside were any good. The foil was inflated like a mylar balloon, which had me wondering. I did what was natural: I went for the sniff test. Nothing seemed off. 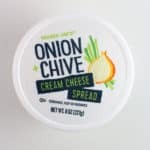 Here you end up with a thick cream cheese that doesn’t shy away from the flavor of chives or raw onion. There are even hints of garlic. But mine was acidic tasting, perhaps the copious amounts of onion and chive also contributed to this. 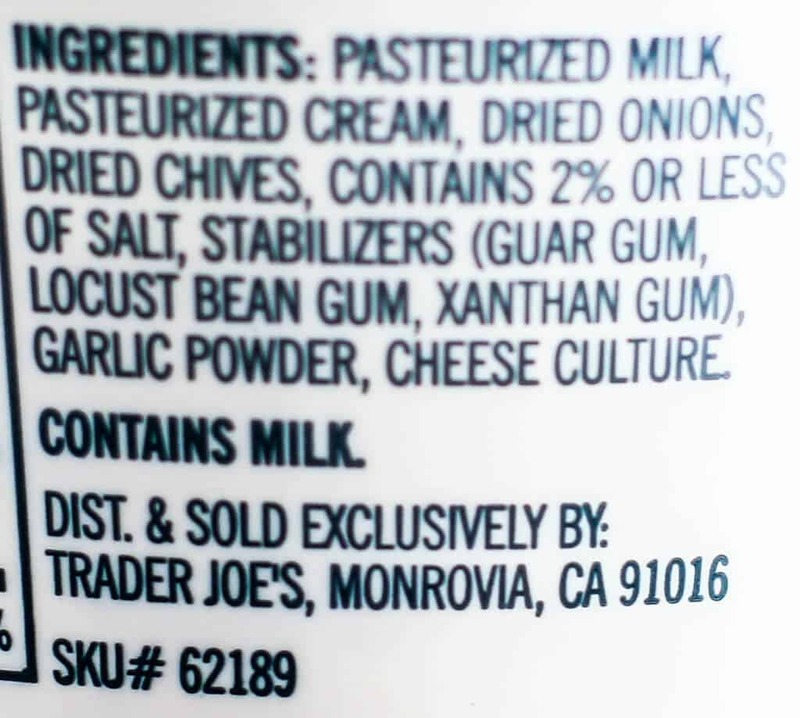 If I can say anything about this product is that the words onion and chive are in big letters because they used such a healthy quantity in this. For $1.99 it’s cheap enough to try. And while it wasn’t bad, I’m still waiting to see my personal favorite cream cheese appear: strawberry cream cheese. But we will have to wait and see on that. Trader Joe’s Onion and Chive Cream Cheese Spread has onions, chives, and garlic in it. Another variety of cream cheese that begs for lox and a bagel. I would love to see a mixed berry cream cheese! Mango cream cheese, lemon pie cream cheese, and maybe even swirled cream cheese with chocolate & cookie butter. As a former East coaster I take my bagels and schmear very seriously also. I think I will give this a try and pour some of the Everything Bagel seasoning into it! I finally am free from the storm for the most part and plan on hitting Trader Joe’s up within the next day or two! Sounds delicious. I will have to try it. Ooh, I have decided to have a “fancy” lunch tomorrow after I hit TJ’s. I want this with the smoked salmon on cucumber rounds. I also think it would be great on the whole.grain crisp breads with cucumbers and everything bagel seasoning. Well i sure hope you used a Real Bagel and not those bagel impersonators in plastic sleeves that TJs sells….! This doesn’t sound like it really works- maybe you could mix with some unflavored cream cheese for what you have left so the onion is less overpowering? I’m a huge fan of nyc bagel shops and have my favorites (absolute bagels are probably my favorite ever) so i usually get a bagel with (tofutti) schmear-i love the scallion version on an everything or pumpernickle! I’m a big fan of NYC bagels. We do bagels so well. And yes, I still from time to time drive into Queens to go to my favorite bagel store. Fortunately, bagel freeze really well, but there is nothing like bringing home that still warm bag. Thanks so much for stopping by! I think this will go well with the pastrami smoked salmon! Hey Ilana! That sounds like a great pairing! Keep me posted on what you think of this!